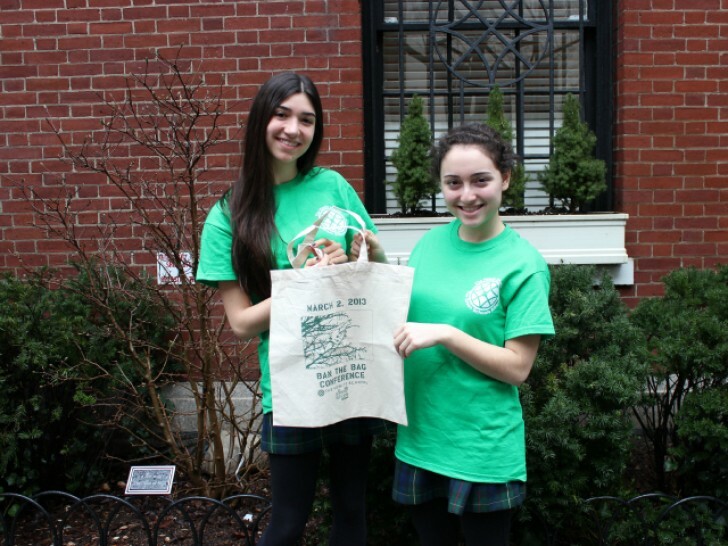 A group of children from the Hewitt School’s Earth Committee are making waves in the city, calling for a plastic bag ban and working with leaders to make New York City a greener place to live. Through Change.org, the students have collected 1,616 signatures and have taken the petition to the City Council. Their hope is that the city will hear their pleas and enact legislation that helps curb the damage plastic bags cause to marine life as well as the amount of litter in the streets. The conference addressed reasons people should support the ban, strategies for launching the initiative at GSA schools, a plan to convince the City Council to impose a fee on bags or ban them completely. A panel discussion moderated by students included experts with prior experience successfully banning plastic bags in their cities and included: Jennie Romer, founder and director of plasticbaglaws.org (also influential in banning bags in San Francisco; Ron Gonen, Mayor Bloomberg’s newly appointed Deputy Commissioner for Recycling and Sustainability and founder of Recycle Bank; Eric Goldstein, New York City Environment Director of the Natural Resources Defense Council and others. The EPA reports that between 500 billion and a trillion plastic bags are consumed worldwide each year. Most of these are never recycled and do not biodegrade. Instead they break down and harm the health of our wildlife and our environment. During the conference, participants were also invited to view the Bag It documentary which takes a closer look at our cultural love affair with plastics.